January | 2013 | Can't Believe It's Allergy Free! This is great to serve as an after school snack, or after that game on a cold day. Or the rostis could make a good side dish to balance the meat entrée in a meal. Whichever way, they are delicious, satisfying and wholesome. 4 cups (well packed) frozen, hash brown potatoes, thawed. 1 cup frozen broccoli florets, or 1 cup freshly cut broccoli florets, preferably cut small. Combine shredded potatoes with salt and pepper. Heat 1 Tablespoon oil in a pan, add onions and saute for a minute or till they are soft and golden. Stir in 2 Tablespoons water, cover and cook on medium heat for 2-3 minutes, or till the veggies are tender crisp. Add dried basil, and set aside. Drizzle a few drops of oil on pan, or lightly oil with cooking spray. While skillet heats up, make 8 portions of the shredded potato mixture. Shape 4 portions lightly into balls and place each ball on skillet. Using a spatula, flatten each ball to form pancakes about 4-5” in diameter. Allow potato ‘pancakes’ to cook for about 4-5 minutes, or till edges start to look golden. Divide cooked veggies into 4 portions. 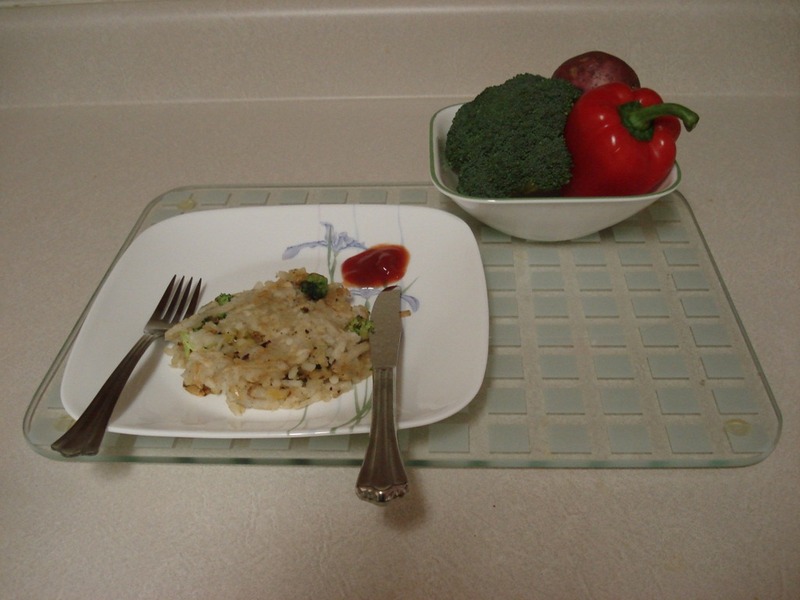 Place 2 portions on top of two of the pancakes, sprinkle vegetable topping with grated cheese, then flip the remaining two pancakes on top of each of the veggie topped potato pancakes. You will now have 2 rostis on the skillet. After a minute of so, gently flip each rosti, or stuffed pancake, so that both sides can be lightly browned. Gently remove rostis onto serving platter. Repeat this procedure with the remaining 4 portions of shredded potato, using the two portions of cooked veggies and grated cheese for stuffing in between. Serve rostis while warm. Or place all rostis on a baking tray to warm and serve later. Or else, microwave individual servings on microwavable tableware. and enjoy!